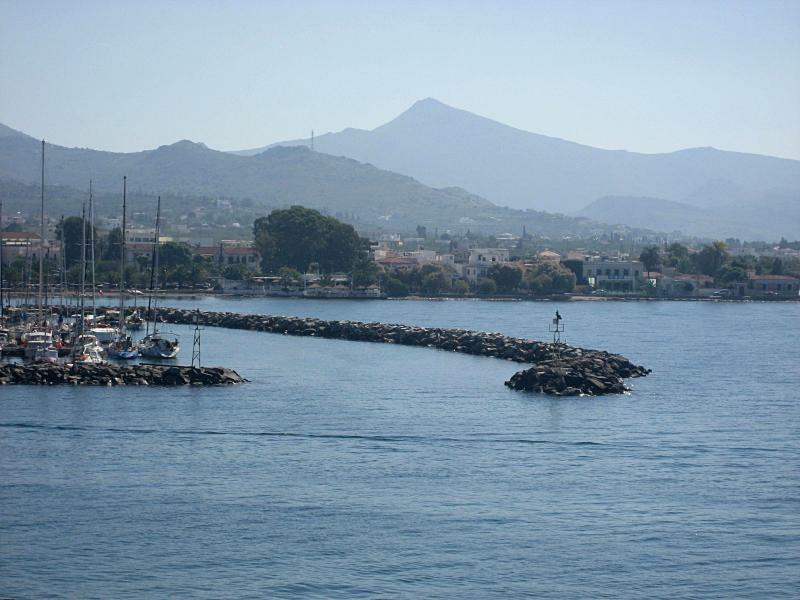 The island of Aegina is often the first port when sailing from the base of Athens - where most yacht charters start their holidays (Alimos marina - Kalamaki). Indeed many sailors will stick to the Saronic, perhaps adding a bit of the Argolic by including Hydra and Spetses islands further west. A great advantage of this is the calmer weather compared with the often rough winds that bring havoc in the Cyclades, especially in August during the Meltemi season. For this very reason there are a lot of flotillas organised in the Saronic Gulf, a lot less in the Argolic Gulf and only sparsely in the Cyclades. Though with a good weather forecast it is highly recommended to cross from Hydra to Kythnos and then from Kea back to the Saronic again. Aegina self is rarely used as a charter base for sailing holidays, yet is ideal for learning how to sail - several sailing schools (RYA instruction) operate from here. Besides Athens the other yacht charter base in the Saronic Gulf is Poros, which does adds to the logistics with a ferry/hydrofoil trip, but has the asset of allowing you to avoid the dreadful outskirts of Athens and sailing directly into the more beguiling waters further away from Athens. And certainly when “only” sailing for one week. Sailing out of Poros would mean not visiting Aegina of course but you would be able to visit and explore the Argolic Gulf, which would normally take 10 or 14 days itineraries. Due to the breathtaking archaeological sites the Argolic Gulf is - like the Saronic Gulf - highly advocated to all sailors, particularly if on a first sailing holidays in Greece. Along with the flotilla fleets there are many anchorages and ports suitable for bareboat sailing holidays in the Saronic Gulf of Athens and Aegina!